The towns and cities of the modern-day Dominican Republic are a clear testament to times past. The nation, which occupies the eastern part of the island of Hispaniola, shares a border with Haiti. The crumbling yet intact homes and towering monuments of Santiago and Puerto Plata still remain from bygone eras, and today people gather to celebrate among their historical remains. Santo Domingo's Colonial City is home to restored monasteries and cobblestone streets which were once the sites of historic battles. Today, just a few miles from the terrain on which the indigenous Taíno people carved clues to their lives into rock walls, modern, refurbished communities have sprung up. For a voyage back in time with all the convenience of today's amenities, browse luxury villa rentals in the Dominican Republic. There is a perfect place to stay for all preferences and budgets, as well as for romantic getaways, and family and friend vacations alike. 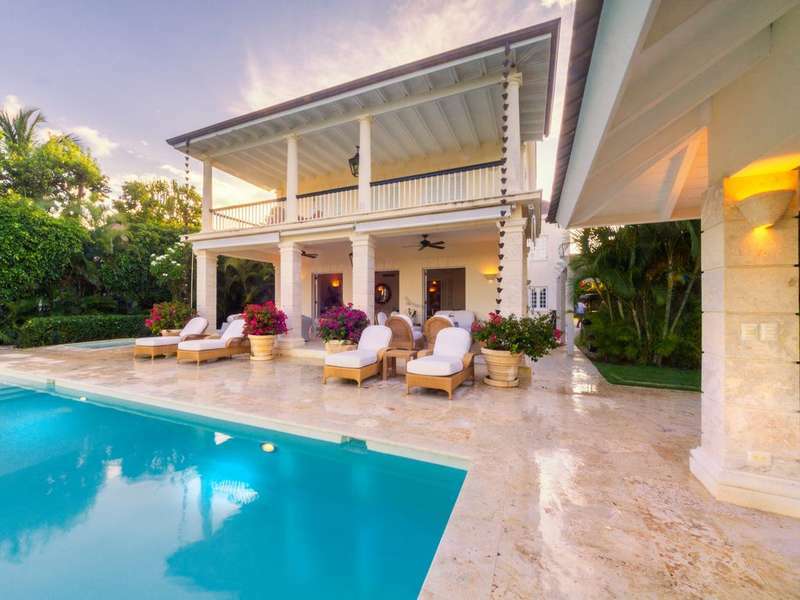 If villa rentals in the Dominican Republic are at the top of your vacation list, you probably love beaches, laidback environments, and beautiful Caribbean weather. From the windy Atlantic Northern shores to the serene Caribbean stretches further south, there is a beach for everyone in this gorgeously diverse country, no matter what time of year you decide to vacation. The Dominican Republic offers visitors close to 1000 miles of coast and nine distinct ecological zones to explore and enjoy. Explore over 20 miles of beachfront, golf courses, spas, and world-class dining in the town of Punta Cana, where you will also find some the most gorgeous villas. Further north in Puerto Plata, discover the relaxed beach town of Cabarete, a popular spot for outdoor enthusiasts fond of kitesurfing, kayaking, kiteboarding, and surfing. Ask our personal concierge about your upcoming Dominican Republic vacation in Cabarete. To the east lies Playa Grande, a mile-long crescent-shaped beach set on 400 acres of protected nature reserve interwoven with trails for hiking and biking. There is also an 18-hole ocean-view golf course in the area—a golf-lover's dream come true. Jutting out from the northeast coast of the Dominican Republic is a thin strip of land known as the Samaná peninsula. This bohemian region has a distinct European energy—a mix of the French, Spanish, and Italians who settled in the region and who now run many of the restaurants, hotels, and boutiques around. From January through March, you can usually spot North Atlantic humpback whales along their migration route in this area. Located on the northeastern coast of the Peninsula, Las Terrenas welcomes travellers to its miles of protected inshore waters lined with palm trees and fishing boats. Expect stunning, undeveloped white sand beaches. Tradewinds and warmer temperatures bring this section of the island balmy weather all year round. Those staying in vacation rentals closer to the Puerto Plata International Airport should visit Sosua Beach, popular with divers, snorkelers, and water sports lovers thanks to its famously popular underwater park. The Dominican Republic is understandably known as one of the most geographically diverse countries in The Caribbean. With magnificent mountain scenery, desert scrublands, the incredible architecture of colonial times, and the beaches, of course, there is never a lack of choice for the adventurous traveller. Four of the five highest peaks in the Caribbean rise above the fertile lowlands surrounding Santiago, and empty deserts stretch through the Southwest, giving the Dominican Republic a physical and cultural complexity not found on other islands. Hundreds of kilometres of coastline define the country—from rocky cliffs to wind-swept dunes, to tranquil mangrove lagoons, to sleepy fishing villages. Pirates once roamed in a number of the bays and coves which today are a temporary home to thousands of humpback whales as they migrate. Many of these bays form part of an extensive network of parks and preserves aimed at protecting the country's rich natural heritage. Most of the Dominican Republic is very rural. Further inland you will discover views comparable to the European Alps, rivers flowing energetically through abundant jungle terrain, and stunning waterfalls. Driving through the vast lush interior of the country, it is common to see cows and horses grazing beside the road, or trucks overloaded with enticing fresh fruit and vegetables. Take the first step toward a fresh perspective and book Dominican Republic vacation rentals today to start planning your next trip. Whether you are visiting the capital of Santo Domingo, the crumbling San Pedro de Macoris, or Puerto Plata, with its relentless waves crashing over the boardwalk, the all-night merengue coming from colmados (common bar and corner store combinations) is a true island-wide feature. Dominicans love and appreciate their time to relax, and they know how to celebrate. The numerous yet distinct annual Carnival parties that take place throughout the country are evidence of this. Be sure to take advantage of the opportunity to join in the fun and partake in the delicious feasts. Your luxury Caribbean adventure awaits you, right along with the Dominican Republic villas that can make it all take place. Sancocho is a meaty stew common to several Latin American countries, but each has developed its own distinctive version. Dominican sancocho de siete carnes is deluxe by nature: seven different types of meat from four types of animals are mixed in with root vegetables and plantain. The result is a very rich, thick, meaty stew, and a must-try for all interested in experiencing the local cuisine. There are also toned down versions with just beef or chicken. Mangú is a uniquely Dominican food that is very popular. It is a dish consisting of mashed plantains, typically accompanied by eggs, fried Dominican salami, and queso frito, or fried cheese. This particular combination is most often served as a breakfast dish. Quality white rice is also a key staple of Dominican cooking, of course, as is habichuelas guisadas, or stewed bean. No matter what your preference, there is no shortage of upscale or downscale quality restaurants to choose from. Thirsty? Go for a refreshing Morir Soñando to wash it all down. Translated literally as “to die dreaming,” this distinctly Dominican drink is a mix of milk and orange, and is truly delicious and healthy—with a poetic name to boot. It is popularly served as refreshment, or comes alongside sandwiches and light meals. Want the option of eating in? Arrange for your personal chef to whip up something tasty in the comfort of your beautiful luxury villa rentals in the Dominican Republic. Santo Domingo is the oldest city in the New World, and fortunately preserves the valuable relics of its rich history and culture with great care. The historic Colonial City is a UNESCO World Heritage Site. Complete with cobblestone streets, proud Spanish Colonial architecture, and top restaurants, the city is very much worth a visit. Some say the most significant site is the First Cathedral of America, which is the oldest existing cathedral in all of the Americas. The Museum of the Royal Houses is equally worth a visit. Real museum lovers must go to The Plaza de la Cultura where visitors will find the Palace of Fine Arts, the Museum of Modern Art, and the National Palace, among many other fascinating exhibitions. Other city highlights include the Columbus Palace, Ozama Fort, the National Botanical Gardens, and the Malecón, a romantic walkway by the sea with a gorgeous view. On the southeast coast of the Dominican Republic, you will find La Romana, a replica of a 16th-century artisans' village and one of the island's best places to shop for quality crafts or gifts. 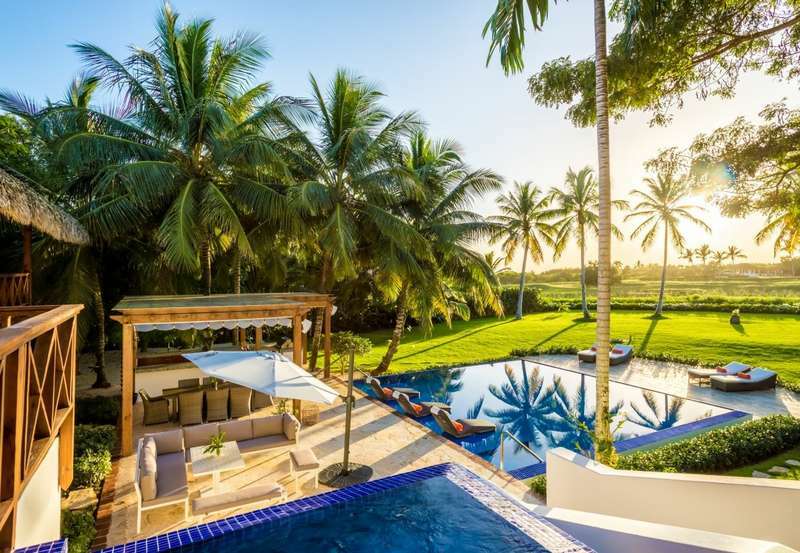 The Casa de Campo resort is located in this region along with impeccably landscaped gardens and green spaces, a riding school, a polo ground, multiple tennis courts, and one of the top ocean-view golf courses in the Caribbean, Teeth of the Dog. Isla Catalina, a tropical island located 1.5 miles from the mainland on the south-east corner of the Dominican Republic, is a cruise-ship port-of-call close to La Romana, which also draws thousands of visitors each day. When trying to decide upon the best time to visit the Dominican Republic, it's worth remembering the two different high seasons that exist. The summer months of July and August are when travellers commonly come and fill the resorts as well as most of the nearby popular beaches. The winter season between December and late February arguably is when the Dominican climate is at its best, having cooled down a tad from the summer. The temperature doesn't vary all that much, however, from season to season, so chances are you will enjoy it any time of year. It's also worth bearing in mind that August and September are hurricane season in the Dominican Republic, although major storms are rare. Whether it's the stunning ocean vistas you are chasing, a hefty dose of the warm, inviting Dominican culture, or a peaceful refuge from the hustle bustle of life-as-usual, Rental Escapes has you covered. 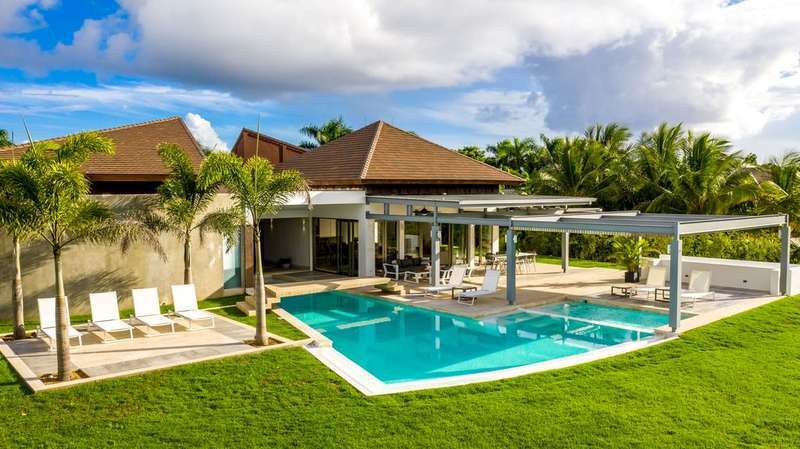 We are here to set you up with everything you require to enjoy your luxury villa rentals in the Dominican Republic to the very fullest: private pools, gourmet chefs, personal drivers, morning yoga lessons—you name it. Our knowledgeable team looks forward to sending you on the vacation of your dreams.